Since yesterday, many users started to receive the “http-win.cpp:158” error in Cydia Impactor that prevented IPA files from being installed onto iPhone. Most importantly, jailbreak users were unable to install the iOS 10 Yalu jailbreak. The error was mostly appearing for Windows users, but the good news is that Saurik has updated Cydia Impactor to fix this error. To fix this error, you can now download the latest Cydia Impactor update from cydiaimpactor.com. The update is available for Windows, Linux and Mac users. Since the error was appearing mostly for Windows users, we recently posted a workaround which involved installing macOS Sierra virtual machine on Windows and fixing the error. However, now that the latest Cydia Impactor update is available, you can simply download the new version and the “http-win.cpp:158” error will no longer appear. It’s good that Saurik has quickly fixed this error as it was affecting many users since yesterday, and most importantly, it prevented jailbreak users from installing the iOS 10 Yalu jailbreak. If you were affected by this problem as well, we recommend that you download the latest Cydia Impactor update and bypass this issue. You guys are so fast in giving updates! Love u iblogapple. Yes I’m getting same error. iPad air on 10.2.1. @daylndelgado:disqus @jaguar_2k_z:disqus @Maarkjr:disqus @scottwinterkorn:disqus @disqus_ubxOmZze1N:disqus A new version of Cydia Impactor has been released. Can you test and let me know if it fixes your error? 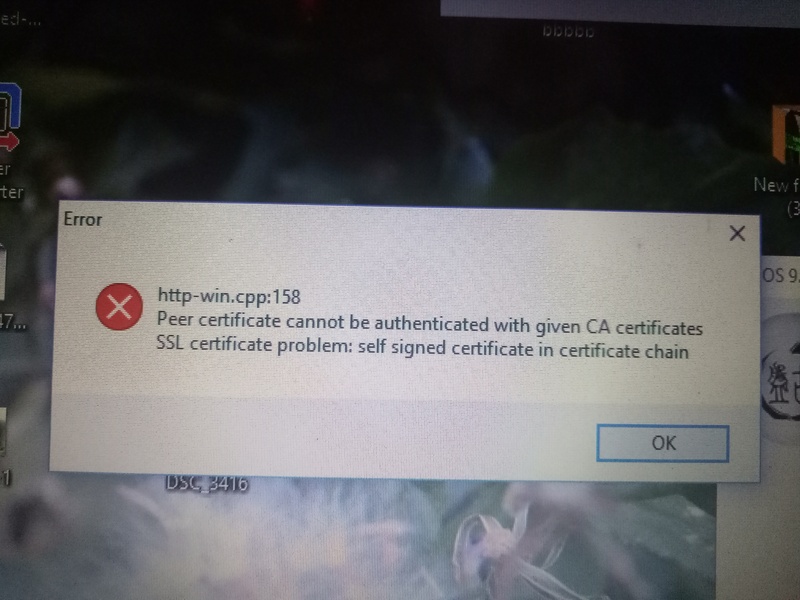 Oh man thank you so much Ali, the Method 2: Revoke Certificate worked for me. You are awesome pal. Cheers! What are you trying to install? I think this error is from Cydia Extender which requires a developer account. It worked for me. Finally got my jailbreak after 3 days! did you manage to get a fix?